Who said you have to be an adult to experience a plus size ride? 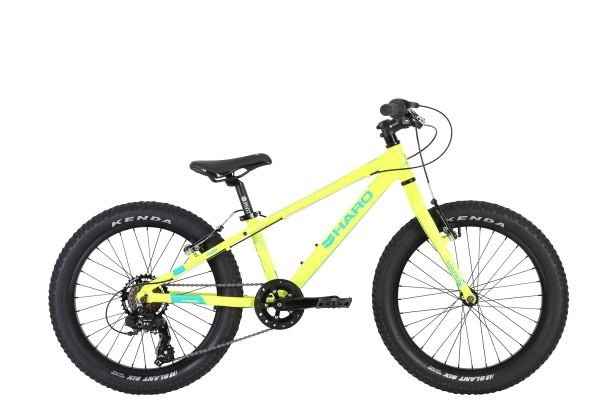 Not us, the Flightline 20 Plus features fat bump absorbing 2.6" Kenda tires matched to 32 hole alloy rims. The FL20 Plus is surprisingly light, thanks to its 6000 series aluminum frame and non suspended alloy fork. Revo 7 speed twist shifters keeps hands on the grips while shifting and FL 20 Plus's 7 speed Shimano rear derailleur is protected against accidental mishaps thanks to its bolt on guard.